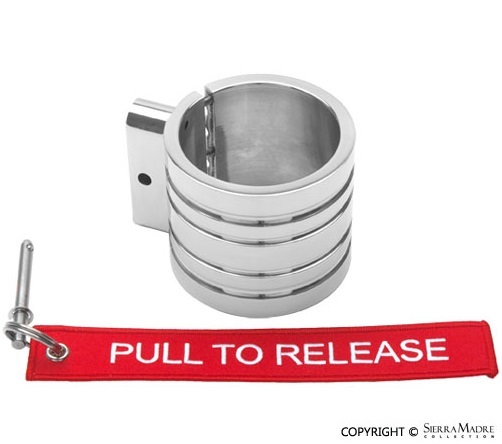 This polished, billeted aluminum roll bar mount is quick release for your fire extinguisher. It is approved by most race- sanctioning bodies and clubs including, NHRA, IHRA, NMCA, NMRA, NSRA and MTRA. It is meant to be used with a band clamp concurrently. This mount will fit roll bars that are 7.1" in circumference and is 2 1/4" in diameter.